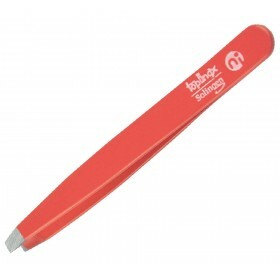 German best cuticle nippers Inox by Niegeloh Solingen are created for the most precise cuticle care. This model is a breakthrough among cuticle nippers and is absolutely loved by European beauticians since its launch in 2014. Innovative design of the cutting edges allows you to cut cuticles with the entire length of the blade, including the tips, and use less pressure overall. 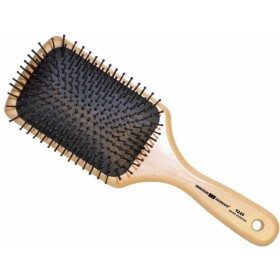 Featuring elongated grips and double spring with soft springing effect for most comfortable cuticle trimming. 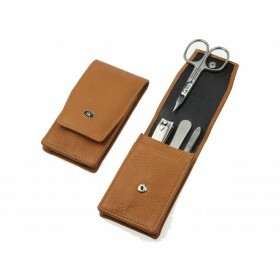 Niegeloh German cuticle nippers Inox are made in Solingen and bring a totally new approach to the art of cuticle style. Designed with the feedback of European salon experts in mind, the cutting edges of the nipper are joint in a new way and at a special angle, to allow unmatched precision and incredibly easy nipping. The blades are approximately 5 mm long and enable you to grab the skin in hard to reach areas with the very tips, leaving the nail bed looking absolutely gorgeous. Made in Germany from the finest Inox stainless steel, Niegeloh cuticle nippers feature immaculate tips, sharpened through highly precise grinding process, to avoid the awful damage to the cuticles. Thanks to centuries-long sophisticated Solingen technologies, Inox keeps its sharpness for a very long time, meaning you don't need to replace or re-sharpen your cuticle nippers frequently. For added benefit, Inox does not contain nickel and is anti allergic – perfect companion for sensitive skin. With elongated and ergonomically shaped grips, the nippers offer you very comfortable handling, for precise manoeuvring. Double spring gives it a soft springing action and requires almost no effort to press – which makes it perfect for people with limited strength in their hands. Ideal for professional-look manicure at home and in the salon.